Han wouldn't say which Japanese companies they're in talks with. 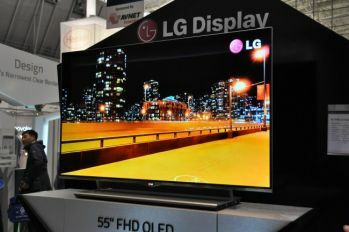 Back in February 2012 it was reported that LGD is talking to Sony about OLED panel supply. Sony has unveiled their own 56" 4K OLED prototype (made in collaboration with AUO) - but it may take a while for Sony to bring this to market, and in the meantime they will perhaps use LGD's panels. Han actually said they are in talks with several TV makers - so it's not just Sony, it may also be Panasonic, Toshiba, Hitachi and Sharp.